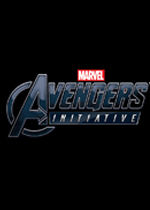 Listen to all the actors who have voiced the following Avengers Initiative characters. Shows: Ultimate Wolverine vs. Hulk, Avengers Assemble, Spider-Woman: Agent of S.W.O.R.D..
Movies: Next Avengers: Heroes of Tomorrow, Avengers: Endgame, Ultimate Avengers. Games: Lego Marvel Avengers, The Punisher: The Video Game, Marvel Super Hero Squad: Comic Combat. Shorts: Marvel Rising Ultimate Comic, Marvel Heroes MMO: Chronicles of Doom, Ant-Man.